Rev. Kevin F. O’Brien, S.J., vice president of mission and ministry at Georgetown University, will talk about how the Spiritual Exercises of St. Ignatius of Loyola offer some very practical advice about how to make decisions about one’s life. Fr. 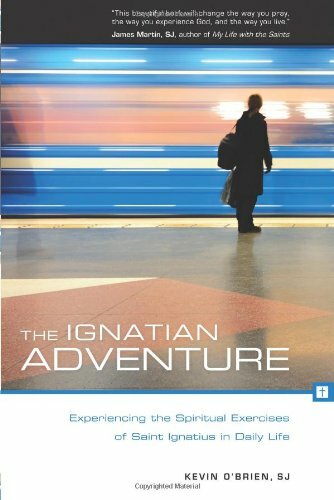 O’Brien is the author of The Ignatian Adventure: Experiencing the Spiritual Exercises of Saint Ignatius in Daily Life. His lecture will take Sept. 25 from 5:00 to 6:30 p.m. in Devlin Hall, room 008. Sponsor: Center for Ignatian Spirituality. This entry was posted in Guest Authors and tagged discernment, Jesuit. Bookmark the permalink.